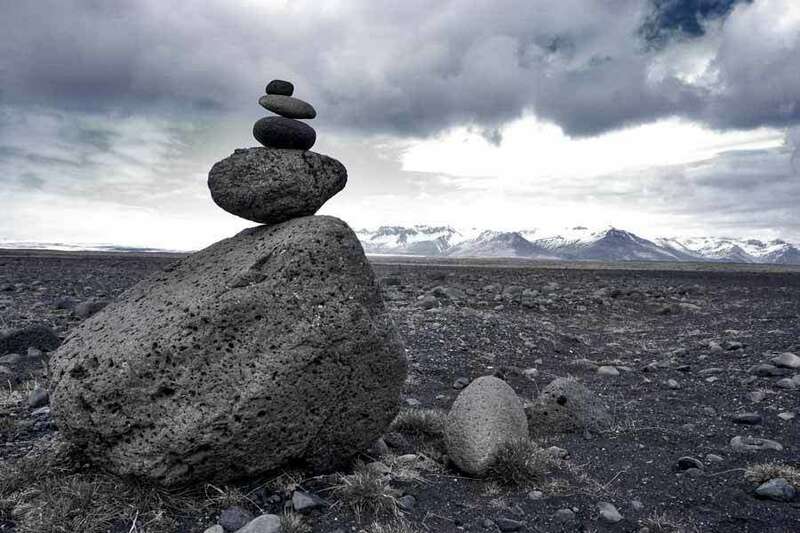 A cairn at a rest stop off the Ring Road, near the edge of Skeiðarársandur, southeastern Iceland. Wide angle of mountains and edge of Breiðamerkurjökull glacier, near Jökulsárlón, southeastern Iceland. Rocks on the edge of the Reynisfjall, near Vik, Southern Iceland.